So let’s look at the facts. Your period, or menstruation, occurs once a month. 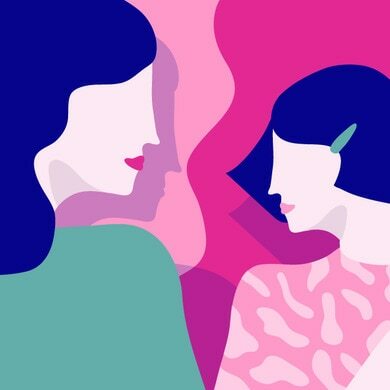 Periods usually start when you’re aged between 11 and 14, although they can start as early as eight or nine, and some girls don’t start until they’re 15 or even 16. Getting your period is your body’s way of saying that it’s mature enough for pregnancy. But don’t worry, it doesn’t mean that you want to or have to get pregnant, just that you’re able to. Your period is part of a monthly menstrual cycle that lasts anywhere from 21-35 days, with 28 days being average. When you first start your periods, it can take a while for them to settle into a regular pattern. In fact, you may find that they vary in length at first, and are few and far between. 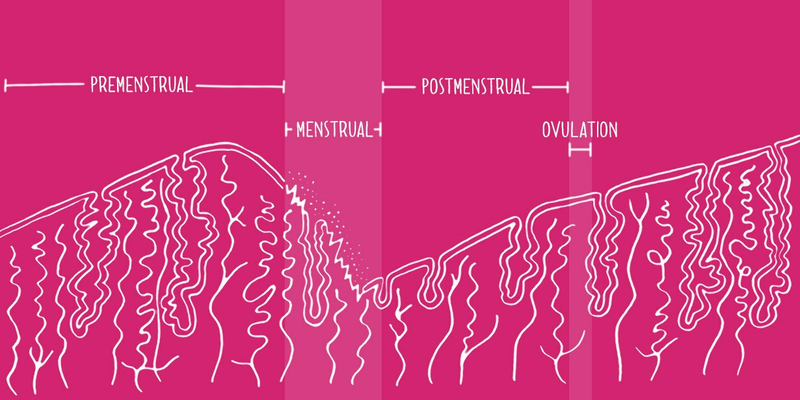 What are the stages of the menstrual cycle? Well, first your womb (or ‘uterus’) develops a mucous membrane – the endometrial lining – in preparation to receive a fertilised egg. Then ovulation occurs, when one of your ovaries releases an egg (or ‘ovum’), which then makes its way along one of your fallopian tubes towards the womb. This takes a few days. If, along the way, the egg meets a sperm, it can become fertilised, and you can get pregnant. If this egg doesn’t become fertilised, the body expels the egg, mucous lining and some blood, which is your period. Bleeding starts around 14 days after ovulation, and on average lasts 3-5 days, with the heaviest flow in the first two days. And then the whole cycle starts all over again. And gets repeated around 400-450 times (yes, really), until the menopause takes place around the age of 50, when your periods stop permanently. In the days and weeks before your period starts you may notice some emotional and physical changes. This is known as PMS or premenstrual syndrome (to give it its official name). You might find you feel a bit bloated and nauseated; your breasts can get bigger and you may get diarrhoea. You might also find yourself feeling sad, irritable or weepy. All of this is normal – not fun, but normal. Right before your period starts, as well as during it, you might also find yourself experiencing mild cramps in your lower abdomen. This is known as period pain and it’s mostly caused by the womb tightening in order to shed the lining of the uterus. Once again, this is completely normal – although if the pain is severe or prolonged, speak to your doctor. So there you have it – periods can be challenging. But be kind to yourself (ice cream sometimes helps) and remember these aches, pains and blue moods will pass soon enough.